Just 20 minutes south of Yakima, the Rattlesnake Hills wine community is a warm, welcoming group of winemakers and grape growers. A good portion of its population is made up of multigenerational farmers who take great pride in their land and legacy. 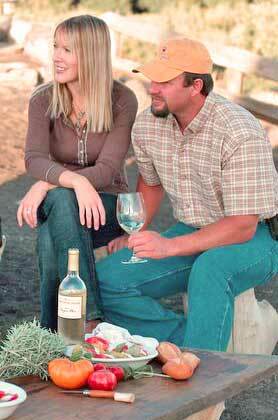 The nearest town is Zillah which is located in the Rattlesnake Hills sub AVA (appellation) of the Yakima Valley. Here you will find a handful of smaller producers producing stellar wines in an eclectic set of tasting rooms. Cultura Wine for example. Husband and wife team Tad and Sarah Fewel create limited production handcrafted wines and sell it exclusively through their tasting room. The couple produce only red wines in their roadside barn renovated into a sleek, elegant tasting. The wines are lush, powerful yet smooth with a lot of fruit. Bordeaux style blends, Cabernet Sauvignon, Cabernet Franc and Merlot make up the wine list. The Fewel’s hands-on, old world approach to wine is reflected in every bottle, expressing the their gusto for life and an appreciation for how nature shapes the wines. Most of the wines sell out early, if you want to experience this wine be sure to add Cultura to your tour.